Low Cost & 90% Low Density Recycled Polyethylene based. These sheets are a LOW COST SOLUTION for animal housing and wall cladding. A lower price than prime HDPE or Polypropylene. Excellent toughness and durability. Used by the large stables and recommended by many riding stables at certain thicknesses to absorb kicking. Does not splinter into sharp edged pieces. Materiel is resistant to chewing. 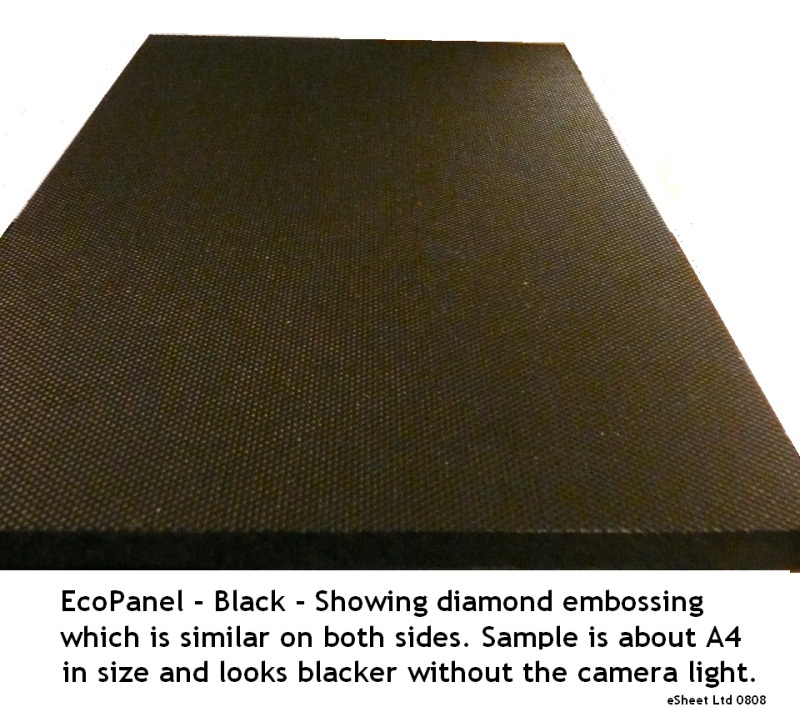 Panels have a diamond embossed surface both sides to reduce slipping. The material is fully waterproof. Surface is easily hosed down to prevent spread of disease. Waterproof, Good low temperature performance. Does not shatter into sharp pieces. Should be carried out at highest anticipated temperature. Make holes and fittings suitable for expansion and contraction. Data above is derived from a 12mm thick sample. All data is supllied in good faith and users must establish suitability for use by their own tests. Only available in Embossed Black on both sides - ex stock (see availability chart) . Also available when ordered in larger quantities of approximately over 2 tonnes in other colours and also in smooth finish.